Weekend Open Forum: What do you think of No Man's Sky? Few games in recent memory have been as hyped as No Man’s Sky. Some people found the promise of exploring a universe filled with 18 quintillion planets so exciting that they threatened to kill developer Sean Murray when the game was delayed. It’s been available on the PlayStation 4 since Tuesday and, by the time you read this, it will finally be out on PC. As is often the case with overhyped titles, several early reviews claim it doesn’t live up to expectations: it’s currently got a Metacritic score of 69. But there are those that love the game. Fans say it can take many hours to appreciate NMS fully and that it’s a relaxing, rewarding experience. They also argue that new patches and content, such as the ability to build bases and space stations, will improve it immensely. 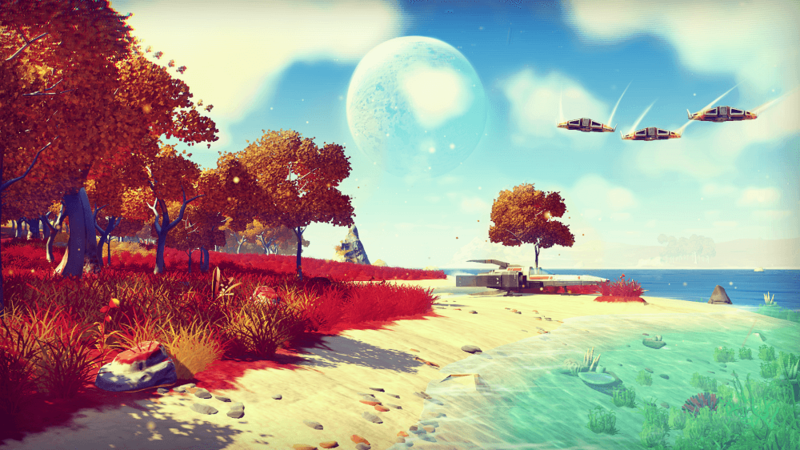 For this Weekend Open Forum, we want to know your thoughts on No Man’s Sky. Do you intend to purchase the PC version? Have you tried it on the PS4, and if so, what do you think? Are you going to wait to see if updates improve the game before splashing out? Or is it totally overhyped and not worth the money? Whatever your thoughts, do let us know. Update: It appears that a number of performance issues are affecting the PC version of No Man's Sky, including FPS drops, screen tearing, and crashes. The problems have made it unplayable for many people, even on rigs with powerful hardware. At the moment, just 40 percent of its Steam reviews are positive. For those who were unsure about purchasing the game, could this prove the deciding factor?